Scientists are scrambling to keep up with teeny tiny invaders… bacteria and fungi. A new study in the journal Ecology Letters finds there are more invasions by microbes… and very little is being done about them. Elena Litchman is the author of the study. She says there’s an invasive bacterium from the tropics that’s been spreading in lakes in Michigan. It can produce toxins and make people and animals sick. Litchman says invasive bacteria and fungi are really hard to detect, so they just don’t get a lot of attention. With 180 invasive species already in the Great Lakes… a superhero could come in handy. There’s a new children’s book called Sooper Yooper: Undaunted Hero from the North Battles Alien Sea Creatures. It features Billy Cooper, an ex-Navy Seal who lives in the U.P. 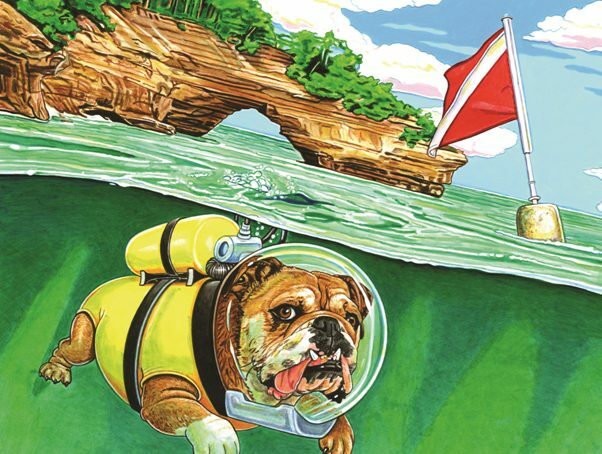 with his scuba-diving bulldog, Mighty Mac. In the book Cooper and Mighty Mac discover the Lakes are being invaded by blood-sucking sea lamprey and destructive zebra mussels. That’s Mark Newman. He’s the book’s author. 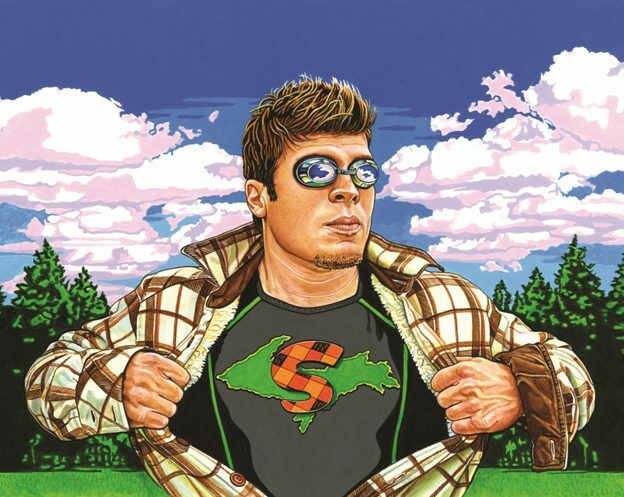 Sooper Yooper was illustrated by artist Mark Heckman. He died in May after a two-year battle with non-Hodgkins lymphoma. Heckman’s wife, Diane, is here along with Mark Newman. Diane, this book was your husband’s idea. Why did he want to create Sooper Yooper? RW: So what was the process like for him, developing these characters? RW: They’re beautiful, and they’re funny. I especially love the one of Mighty Mac when he’s diving down to catch a sea lamprey in his mouth, and the way Billy Cooper’s portrayed – he’s sort of a cross between a lumberjack and a surfer. RW: So, Mark Newman, you and Mark Heckman worked together to come up with the story. Billy Cooper doesn’t really seem to have any special superhuman powers… why is that? RW: Diane, what did your husband tell you he wanted kids to take away from this book? RW: Thank you both so much for coming in to talk with me. DH and MN: Thank you. Diane Heckman is the wife of the late Mark Heckman. He illustrated the new children’s book, Sooper Yooper. Mark Newman is the book’s author. You can see some of Mark Heckman’s illustrations from the book on our website, environment report dot org. I’m Rebecca Williams. 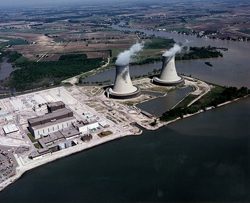 Everything’s back to normal at the Fermi 2 nuclear power plant in southeast Michigan after a spill last week. A drain valve for a filtering system failed… and 100,000 gallons of slightly radioactive cooling water overflowed a holding tank. The water contaminated the shoes and outer clothing of some plant workers, but no one was harmed. DTE Energy owns and operates Fermi 2. Guy Cerullo is with DTE. He says most of the water was contained inside the plant… but about 100 gallons of that water escaped through a bathroom drain into the Monroe County sewer system. He says some sewage outside the plant had trace amounts of radiation. But he says it was well below federal limits. Cerullo says all of the drain valves have been replaced. The Fermi plant had been shut down since late October for routine refueling and maintenance. The plant is back up and running now, at 60% power. This incident at the Fermi 2 plant is considered so minor, it did not violate any federal safety laws or policies. But the U.S. Nuclear Regulatory Commission is aware of this event and NRC inspectors are following up on it. Viktoria Mitlyng is with the NRC. DTE Energy says this release of radioactive water was tiny… and of absolutely no risk to human health. Are they right? Mitlyng: Yes. This incident did not affect equipment that’s related to operating the plant safely. The radiation levels were very low in the water. Plant workers did not get exposed. There was a little bit of radiation on their shoes, but that kind of radiation cannot get inside the body. And in terms of there being a small amount of radioactivity in the sewage, that amount was below NRC’s regulatory limits. DTE measured radioactivity of .0007 millirems in sewage a few yards from the plant. DTE says that dropped to nondetectable levels in the sewage system long before reaching populated areas. How does that level of radioactivity compare to naturally occurring background radiation we’re exposed to on a daily basis? Mitlyng: You know, everybody gets dental x-rays, right? When you get a dental x-ray you get 2 millirems of radiation. So the amount measured in the sewer was 1/ 2,000th approximately of what you would get in a dental x-ray. How do we know this kind of thing won’t happen again at a higher level that might be a problem for people? Mitlyng: Fermi has not had even low-level problems or findings that NRC identified or the plant identified. So you know, the plant is operating safely, it’s operating well. We’re not guaranteed anything, I suppose. Viktoria Mitlyng is with the U.S. Nuclear Regulatory Commission. Thank you. 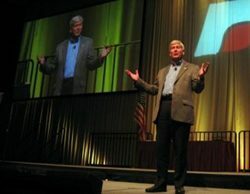 Governor-elect Rick Snyder is already shuffling things in Lansing. He’s planning to split up the Department of Natural Resources and Environment… back into two separate agencies. If you’re already thinking: uh, why do I care?… these are the people in charge of protecting air and water quality, regulating farms, overseeing hunting and fishing. So, who’s in charge matters a lot. Snyder said he wants to streamline and speed up permits for businesses in the state. He says splitting up these two agencies is the best way to do that. He also announced new directors for these environmental agencies. He named Dan Wyant to be the director of the Michigan Department of Environmental Quality. Now, Wyant has a history in Lansing. He’s the former director of the department of agriculture under both Governor Engler and Governor Granholm. This appointment has some mixed reviews around the state. One of the most vocal critics of this pick is David Holtz. He’s the executive director of the group Progress Michigan. So what are you concerned will happen with Dan Wyant as the director of the DEQ? Holtz: Well, the concern is two things. If his track record with Engler is a clue to how he’s going to enforce things in Michigan, the concern is there won’t be enforcement. And when you take that in context of the move from Governor-elect Snyder toward a lot of softening of regulations, the combination of those two will probably mean that we’re going to have more pollution in our lakes, rivers and streams. We hope not. But we know for a fact that if polluters believe they can get away with polluting, they’re going to do it in some cases, and that means dirtier water. Some environmental groups are taking more of a “let’s wait and see” approach. How do you know that Dan Wyant won’t protect air and water quality in the state? Holtz: Well, we don’t know. And that’s why when I criticized the appointment it wasn’t a prediction of what would happen in the future, but it was based on you know, his track record. We can hope that Mr. Snyder believes that strong enforcement of environmental laws are important to Michigan, protecting our Great Lakes ecosystem’s important and that his DEQ director will. So these two agencies have been split apart by Governor Engler, put back together by Governor Granholm, and now they’re about to be pulled apart by Governor-elect Snyder. Why does this matter? Holtz: Well, I think your average person really doesn’t care if there’s one or two or three or six. I think what they want is these agencies to do their job and do it well and do it as efficiently as possible so they aren’t wasting tax money. But what they will pay attention to is whether we’re seeing products that are safe, whether the place where they fish or where they swim, whether the water’s clean or not. That’s how it’ll play out in most people’s lives. All right, well, I really appreciate your time. David Holtz is the executive director of Progress Michigan. That’s the Environment Report. I’m Rebecca Williams. 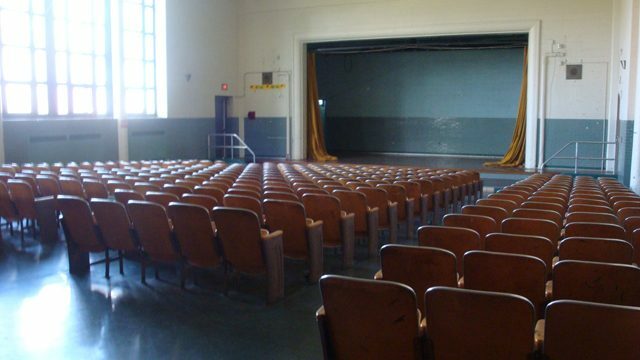 The Detroit Public School district is sitting on more than 80 empty school buildings. Nearly all of them are smack dab in the middle of neighborhoods, so they’re huge eye sores. Not to mention it costs the district a lot of money to secure the buildings so no one breaks in. So to drum up interest in all that unused real estate, the district held a one-day workshop for people to learn the ins and outs of how to buy or lease a school building. Detroit isn’t the only district trying to cash in on its real estate. The Lansing School District has sold more than 20 school buildings over the last couple decades, mostly to small tech companies. In Grand Rapids, a company converted the district’s old Union High School into fancy new condos. True, it can take a lot of time and a lot of money to recycle old building materials, but it’s usually cheaper than buying all brand new materials. Take Joel Landy, for example. 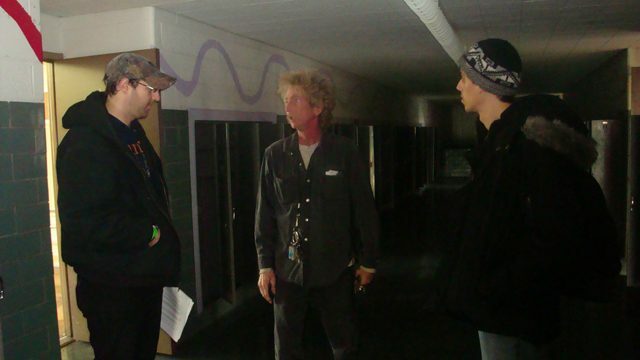 He bought a vacant school building in Detroit for $1,000 in 1991. The place was a dump. It had been empty for 20 years. There were actually trees growing on the first floor. To rehab it, he spent seven million dollars. He says it would’ve cost him 10 to 20 million dollars to build a new school. Seems pretty appropriate for a place called the Motor City. 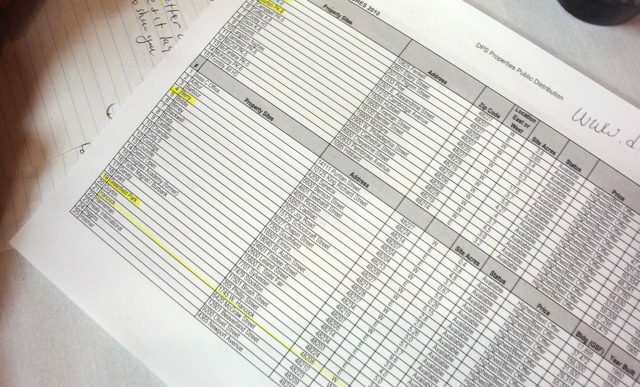 The Detroit Public School district has a list of all available school buildings up for sale or lease…but you won’t find any prices listed. That’s because the district wants you to make the first offer. 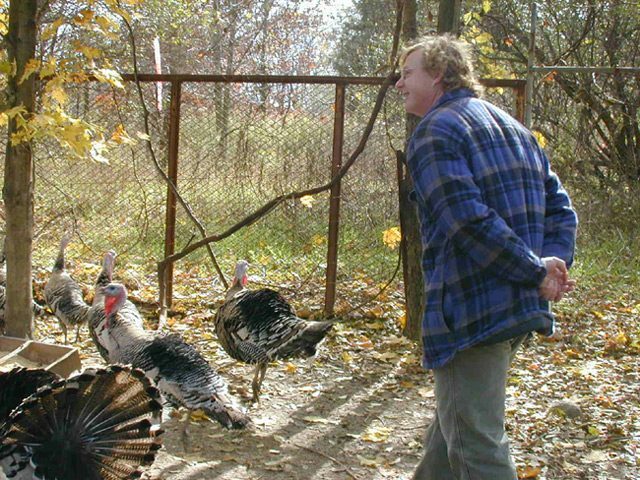 In honor of Thanksgiving… we’re revisiting a Michigan farmer who raises heritage turkeys. Those are turkeys that have a little bit of a wilder history. 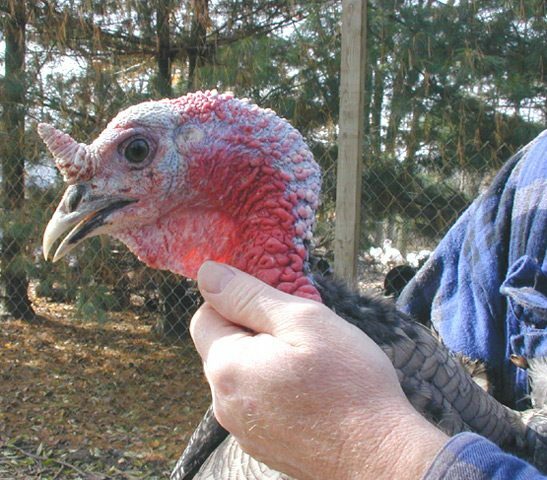 Some farmers are trying to keep these older turkey breeds from going extinct. John Harnois has a yard full of turkeys. He says he knows his turkeys so well, he can speak their language. These turkeys are mostly males. They’re trying to look all big and macho as they strut around in front of the hens. These birds are the Narragansett breed. People who’ve tasted a heritage turkey say the flavor is stronger too. Sara Dickerman did some turkey taste testing for Slate.com. She tasted everything from the Butterball brand to kosher to heritage. She says, still, you’ve got to be pretty committed to buy a heritage turkey. They can cost upwards of a hundred bucks. Taste and cost aren’t the only things that set heritage turkeys apart from the turkeys you find in the grocery store. 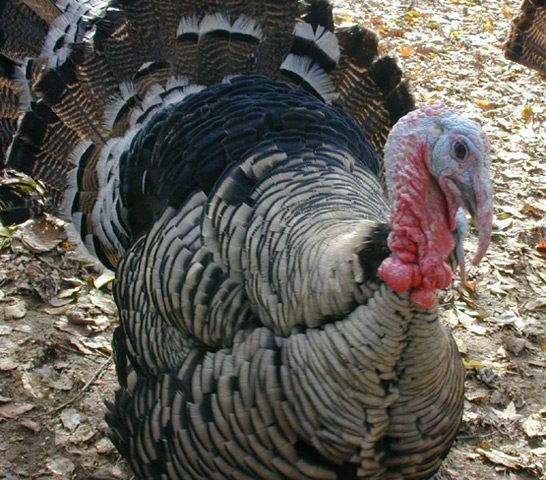 Your common grocery store turkey is a breed called the Broad-breasted White. These turkeys have been bred over the years to produce a lot of meat in a short period of time. As a result, they’re large breasted birds with short little legs. John Harnois says that means they can’t mate naturally. 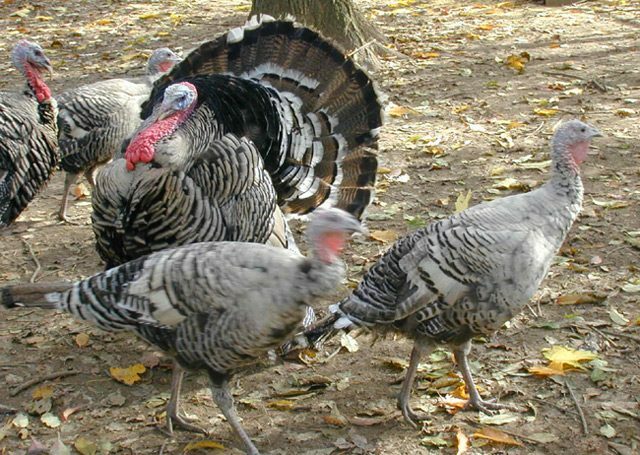 But even though heritage turkeys can mate naturally, they haven’t been doing so well on their own. 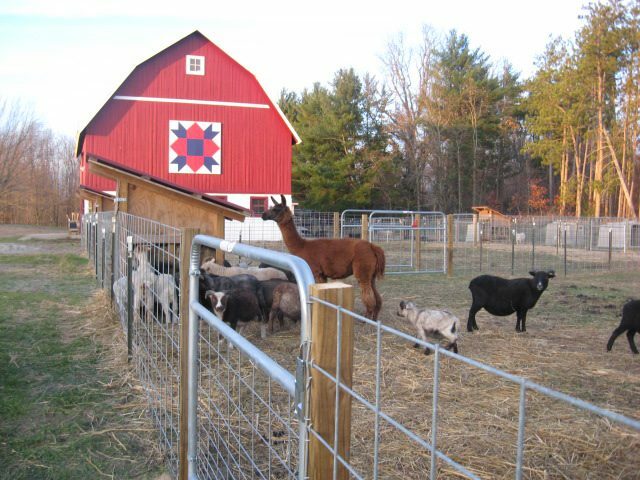 That’s where the American Livestock Breeds Conservancy stepped in. 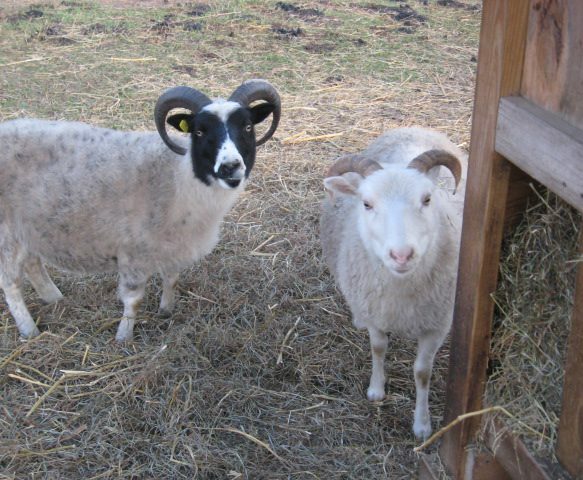 It’s a non-profit group trying to keep rare breeds from going extinct. Marjorie Bender is the group’s research manager. She says just three companies own the rights to the commercial turkey breeds. 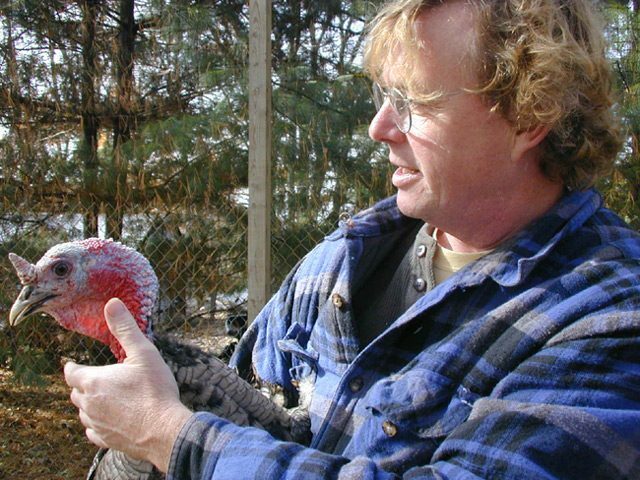 John Harnois says he is earning money from his heritage turkeys, but it’s not easy money. Heritage turkeys cost a lot to raise, and it takes longer to get them to market weight. And unlike the commercial turkeys, the heritage birds can actually fly the coop. But he says the late night chases and extra turkey TLC are worth it. He says he feels like it’s his job to make sure there will always be plenty of different kinds of turkeys to go around. Todd and Allison Sluiss stand in their storybook perfect red barn in West Olive, Michigan, surrounded by goats. Word got out that the Sluiss’s had goats for hire. In the southern U.S. they’re used to control invasive species like kudzu. In California, they’re used to clear underbrush on fire-prone hillsides. There are potential drawbacks. Critics question the methane goats release into the air. Methane is a potent greenhouse gas. They also say their hooves pit the soil, allowing rainwater to pool and weed seedlings to sprout. Allison Sluiss counters that hoof marks are a lot less damaging than tread from heavy machinery. And that methane’s better than herbicides and other chemicals that might run-off into nearby water sources. The Sluiss’s business – called Goat Mowers – has really taken off. Their herd is now 55 goats strong. They also use some sheep. 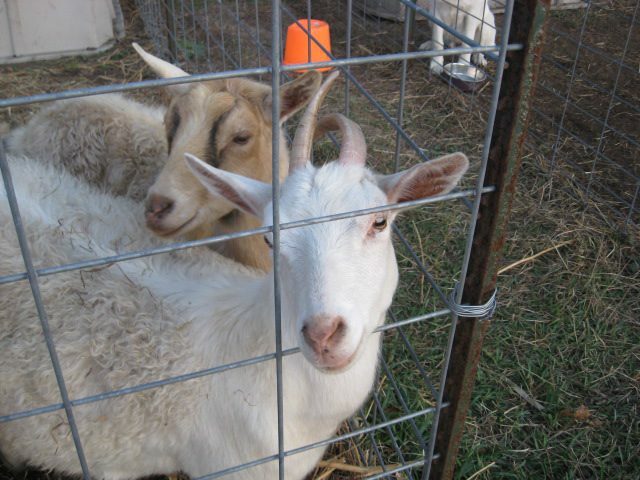 Goats are browsers – they like bushes and overgrown weeds. Sheep have a taste for grass, so they’re much better for clearing yards. The Sluiss crew has traveled as far as Indiana, Illinois and Ohio for work. There’s only on problem with the business plan – when the goats do their job right, there’s usually no need for a repeat visit. For the Environment Report, I’m Tanya Ott. Thanks for Lindsey Smith for help with that story. If you want to learn more about renting a goat, we’ve got links on our website – as well as the full Colbert Report goat expose. 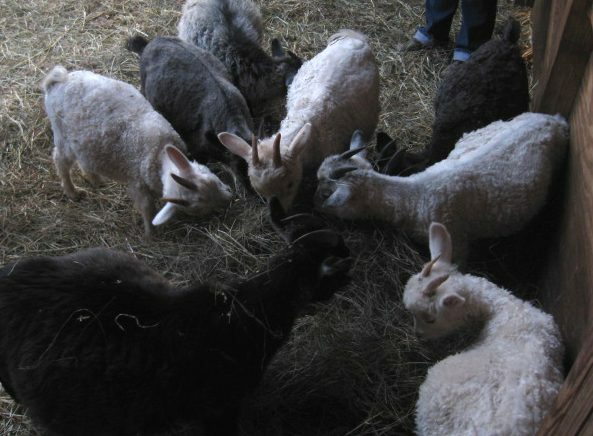 You can also see a photo gallery of the Goat Mowers. I’m Rebecca Williams. 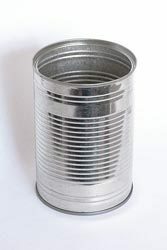 Bisphenol-A or BPA – is a chemical that has been used for more than 40 years in food and beverage packaging. It can leach out of those packages and get into food and drinks. More than a hundred peer-reviewed studies have linked bisphenol-A to health problems. Until recently the Food and Drug Administration said that our current low levels of exposure to BPA were safe. But new studies have shown subtle effects of low doses of BPA in lab animals. Based on those studies, the FDA now says it has some concern about the potential effects of BPA on the brain, behavior, and prostate gland in fetuses, infants, and young children. The six major baby bottle manufacturers have voluntarily removed BPA. But BPA is still used in the linings of almost every kind of food and beverage can…including canned liquid baby formula. Nine states have passed laws to ban certain uses of BPA in children’s products… and Michigan could be next. Democratic State Representative Mark Meadows from East Lansing has introduced a bill to ban BPA in children’s products, and he joins me now. Representative Meadows, why do you feel this is necessary? Meadows: Well, I think the scientific research has shown us there is a danger particularly to children and infants with regard to BPA leaching into their systems and the result of that has been like a crescendo of scientific evidence that indicates it should be banned at least in those products. What specific products are you targeting? Meadows: We’re targeting anything that comes in contact with children and particularly those things which contain food items so that we would be assured that at least in younger people they wouldn’t be exposed to BPA. And I think there’s been a recognition in the industry that this is coming, although the major opponents to this legislation continue to be the chemical manufacturing concerns in the United States. Have you had any reactions from those manufacturers? Meadows: Yes, you know, Dow Chemical of course is a big employer in the state of Michigan and they’ve been adamantly opposed to this legislation. I think though that we made some changes to the legislation to try to address some of the issues they raised with regard to it. Meadows: We made a few changes to limit the language. One of the exclusions is bike helmets, which we need the rigidity that’s produced by BPA in those things which provide a great protection to young people. We’ve seen laws passed in Minnesota, Wisconsin, New York and six other states that ban certain uses of BPA in kids’ products. What have those laws accomplished so far? Meadows: Well they have reduced the use of BPA products with regard to children in all of those states. How quickly would companies have to come up with alternatives under your bill? Meadows: I can’t remember the exact phase-in period, but they would have time to come up with alternatives. But in fact the testimony we received indicated that in fact those alternatives are available now. So your bill has passed the House Great Lakes and Environment Committee. How much support do you believe you have to bring the bill up for a vote in the House? Meadows: You know, we would bring the bill up for a vote in the House and I think it would pass handily in fact. But because of the nature of the lame duck session we’re in right now, I do not expect it to come up for a vote this year. I think it’ll be reintroduced in January and hopefully we’ll move it through committee again next year and get a vote on the floor for it. Mark Meadows is a Democratic State Representative from East Lansing. He has introduced a bill to ban certain uses of the chemical bisphenol-A in children’s products. Thank you so much for your time. Last year in Michigan, there were more than 60,000 car accidents caused by deer. Farmers say they can lose a lot of money when deer eat their crops. And there are deer munching on backyard gardens and even running down sidewalks. Wildlife managers say there are just too many deer in the state. And they want hunters to help. This fall the Natural Resources Commission is increasing the number of does hunters can kill in certain parts of the state. Especially in southern lower Michigan where there are lots of deer. They hope that by reducing the number of does in the fall, there’ll be fewer fawns born in the spring… and eventually the deer population will swing back into balance. I met up with Brent Rudolph at the Rose Lake game area near East Lansing. He’s a wildlife biologist with the Department of Natural Resources and Environment. He says the deer hunting rules are conservative in northwest Michigan and the UP… because there aren’t as many deer there. But he says southern Michigan has lots of deer. Hunters can get five permits a day… with no cap on the number of does they can take in the season. Rudolph says they actually expect most hunters won’t take advantage of the new rules. He says they set the quotas higher than they need to. They don’t expect to sell all the permits. Rudolph says that’s because most hunters want a buck. Rudolph says it’ll probably take a few years to see how the new rules affect the deer population. Joe Ross is the general manager of the Cabela’s store in Dundee. He says hunting license sales are up. The customers we talked to had mixed feelings about the new rules. Chad Chissom lives in the Thumb. He says he’ll be taking only does this year. Some hunters said they prefer taking a buck, but might take a doe for the meat. Other hunters said the rules are way too liberal. Danny Nagle hunts in northeastern Michigan. He hunts in one of the counties where there’s a problem with tuberculosis in wild deer. So the state’s been aggressively controlling the herd there. Although not everybody likes the way deer are managed… state officials say hunting is the best tool they have to get deer under control. The lower peninsula doesn’t have a significant wolf population. There just aren’t the natural predators there used to be. So it’s up to the state to come up with a management plan that makes hunters happy but also controls the deer. Special thanks to Suzy Vuljevic for her help with this story. 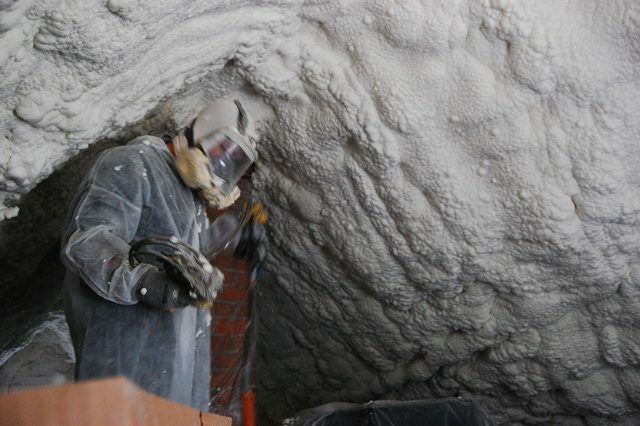 What happens if you seal up the leaks in your house… add a bunch of insulation… and then find out it’s too tight? For a while now, we’ve been telling you about an attempt to make a 110-year old house in Michigan the oldest net-zero home in America. Net-zero means it uses no more energy than it produces. Lester Graham has the latest installment in our ongoing story. Matt Grocoff is getting close to his goal. He’s been sealing up his drafty old house, restoring and tightening the windows, insulating everywhere possible. But he’s got to make a change. The house is so tight, he now needs an air exchanger to get some fresh air circulating, otherwise, the air would get too stale – too much CO2 and not enough oxygen. He kinda knew eventually he’d have to have one, but wasn’t exactly sure what kind or where he’d have to put it. It turns out the attic is going to be the best space because of easy access to return air ducts. 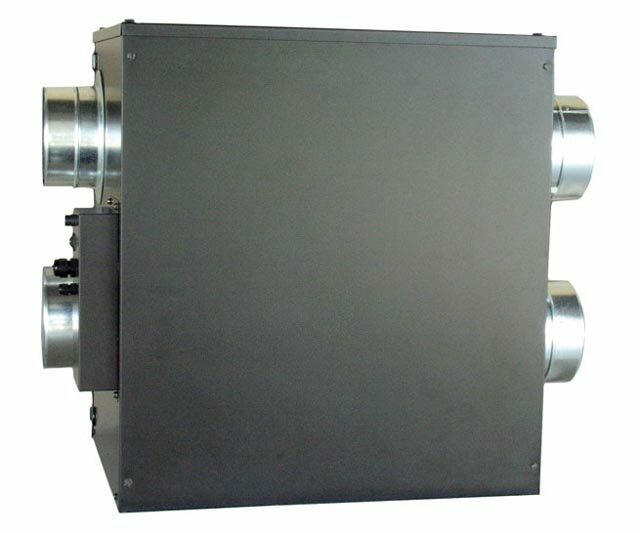 Since this project is all about energy efficiency, the air exchanger is a fancy energy-saving unit. We’ll talk about it more in our next report. 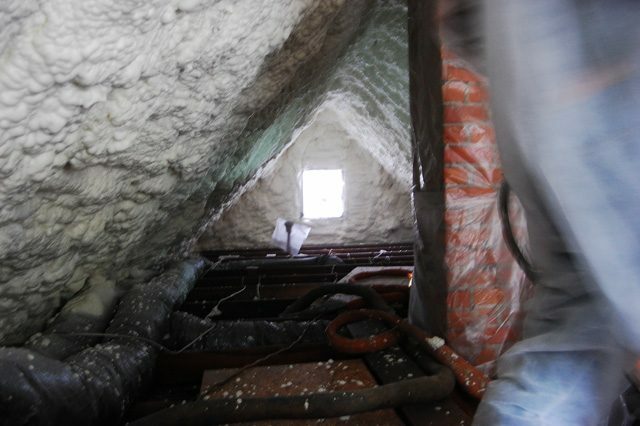 But first the attic has to be insulated at the roofline. I’ve climbed up a stepladder to lift myself into the attic and peek at what’s going on. A guy in a hazmat-like suit and filter mask is spraying insulation foam on the underside of the roof. Doug Selby is with Meadowlark Energy. He’s the contractor for this job. We’ll get to why that’s important in our next report on the energy efficient air exchanger that they’re installing. 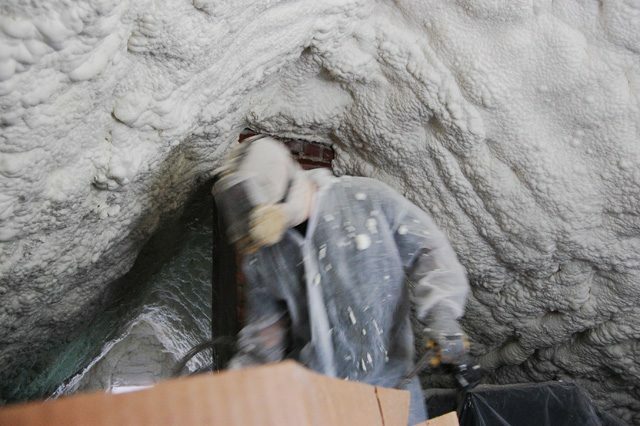 But for now… let’s just say… it’s kinda cool to see this sticky foam sprayed on the underside of the roof… expand for a bit… and then harden into a sort of styrofoam that’s sealed every nook and cranny. Matt Grocoff says this is easier than it might sound. It’s making a whole new usable space out of an attic that was not usable for much of anything. Matt can finish it off with drywall, paint it, and then put down a floor. Voila! New space. LG: Matt Grocoff the Greenovation-dot-TV guy, doing yoga in his attic. Alright, thanks, Matt. We’ll look at the new air exchanger the Grocoffs will install in a small part of that attic space… next Tuesday on the Environment Report. I’m Lester Graham. If you’re wondering how to make your house more energy efficient…. Matt recommends first getting an energy audit to find out where the leaks are in your house. You can find out how to do that and you can catch up on Matt’s adventures on our website: environment report dot org. I’m Rebecca Williams.